The annual Second Baptist School Distinguished Speaker Luncheon is held every fall in honor of our faculty and staff and has a history of notable guest speakers. All proceeds from the annual luncheon go directly to pay for Christmas gifts for SBS faculty members and salary increases for the following year. 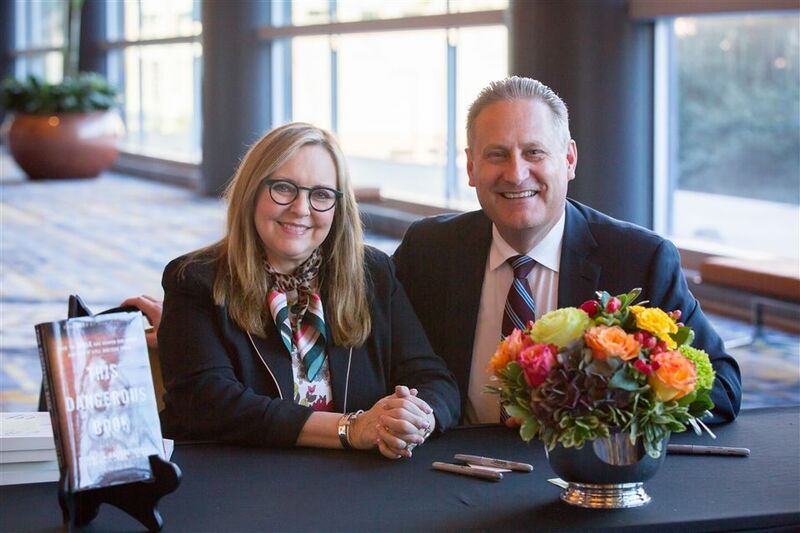 Introduced by Dr. Ed Young, Steve Green, President of Hobby Lobby, Inc. and founder of The Museum of the Bible in Washington, D.C., inspired and shared much of his story with the SBS community. In addition to our Distinguished Alumni, SBS also honored two Distinguished Alumni Parents for their longtime and generous support, love and heart for Second Baptist School. This year’s recipients were Mr. and Mrs. David Dominy. The Dominys graduated three children from SBS: Drake ‘06, Dalton ‘08 and Kirsten ‘10, married to Christopher Duncan ‘09. Thanks to our outstanding speakers, those in attendance at this year’s Distinguished Speaker Luncheon left inspired and grateful for the gift of a Christ-centered community. A special thanks to this year’s Distinguished Speaker Luncheon Chairmen, Emily and Jon Goolsby and Kimberly ‘88 and Eric Thode, for their passion and hard work that made this year’s luncheon such a success. Click here to view this year’s Distinguished Speaker Luncheon video. Click here to view photos from this year's Distinguished Speaker Luncheon.